Product #21221 | SKU 048497 | 0.0 (no ratings yet) Thanks for your rating! 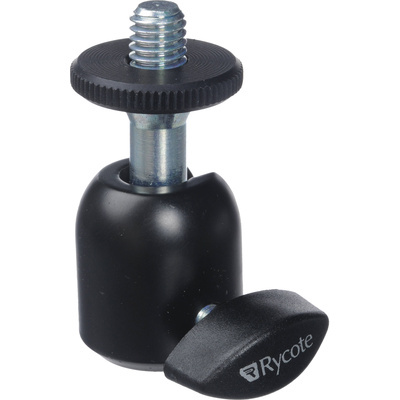 The Rycote Universal Ball Joint with 3/8” Male Thread can be used in conjunction with all microphone stands or Hot Shoe adapters. It provides maximum positioning flexibility by swiveling, enabling you to use a wide range of microphones and suspensions. Featuring 3/8” male threading, this ball joint also has a 3/8” receptacle and a 1/4” insert adapter for attaching to stands and mini-stands.